is per 30ml bottle 1) CO2 Hemp Extract with 250+ mg cannabinoids 2) 240mg. 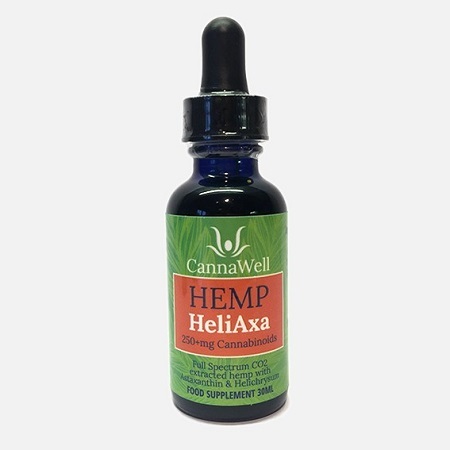 Cannawell Hemp HeliAxa, CO2 Hemp Extract, Astaxanthin, Helichrysum, MCT Oil, Hempseed Oil by CannaWell: Amount is per 30ml bottle 1) CO2 Hemp Extract with 250+ mg cannabinoids 2) 240mg. Astaxanthin derived from Haematococcus pluvialis (algae) 3) 30 drops Helichrysum Italicum oil extract 4) MCT Oil 5) Hempseed Oil 1) CO2 Hemp Extract CO2 extraction from agricultural hemp that is very high in naturally occurring cannabinoids, terpenes, vitamins, minerals, omega fatty acids, and other nutritional constituents. 2) Astaxanthin derived from Haematococcus pluvialis (algae) Astaxanthin is a naturally occurring keto-carotenoid found in many algaes, but most abundantly in Haematococcus pluvialis, the source of our active Astaxanthin. As a keto-carotenoid, Astaxanthin also falls into the larger class of phyto-chemicals known as terpenes, which as a compound are being investigated for their therapeutic potentials. According to all we have read, Astaxanthin is one of the few carotenoids that isn’t metabolized into Vitamin A (retinol) when introduced into the human system. Contrarily, Astaxanthin is active in the human body in its natural state, not requiring a structural chemical alteration. Like all other carotenoid chemicals, Astaxanthin has a very strong natural coloration – its hue being a deep and blood-like red. Astaxanthin is responsible for providing salmon, lobsters, shrimp and other seafood with their deep red color. Astaxanthin has been experimentally removed from salmons’ diets and, in doing so, they lost their unique ability to swim upstream! (Source: Wiley online library) Astaxanthin is coming to be regarded as potentially one of the strongest antioxidant in the world. This is apparently due to Astaxanthin’s unique chemical structure which contains many alternating single and double bonds in its backbone. This consistent single-double alteration provides numerous electrons that are viable for release and use in neutralizing multiple free radicals simultaneously – whereas most antioxidants can only handle one free radical at a time. Along these same lines, many antioxidants can relatively easily be turned into pro-oxidants once they have neutralized a free radical, making some antioxidants not-so-effective in the long run, but Astaxanthin’s chemical structure stays stable even throughout its release of multiple electrons, thus being one of the most powerful and stable known antioxidants. Astaxanthin is a fat soluble antioxidant, so it can bind to the MCT oil and hempseed oil fats just like hemp derived cannabinoids do. We’ve read that acute toxicity studies have been performed and it’s been observed so far that Astaxanthin is non-toxic even at excessively large serving sizes. It is due to these properties as an antioxidant that we have chosen to include Astaxanthin in this blend. We highly recommend researching Astaxanthin through respected websites. 3) Helichrysum Italicum oil extract Helichrysum, commonly known as ‘immortelle’ and ‘everlasting,’ is a yellow flower with many varieties all around the world. Our helichrysum is of the italicum species and serotinum sub-species, the variety considered the most therapeutic due to it’s very high diketone/italidione and curcuminoid content. 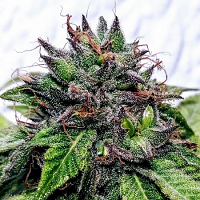 Bluebird have a direct relationship with a group of farmers in the Balkan Islands who grow it organically and perform a low temperature, long duration hydro (steam) extraction, which is ideal for the constituents being targeted for extraction in this versatile flower. Helichrysum Italicum is commonly used as an antioxidant and for general wellness. We highly recommend researching Helichrysum Italicum through respected websites dedicated to sharing the most comprehensive and honest understandings of Helichrysum and other herbs. 4) MCT (Medium Chain Triglyceride) Oil Cannawell's MCT oil is produced from Coconut oil from palm trees. Most fats and contents have been extracted from the coconut oil and what’s left are the MCTs – which are odorless, colorless, stable, and perfect for our blend for reasons described below. 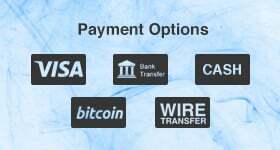 MCT stands for Medium Chain Triglyceride, and is the easiest of fat chains for humans to utilize. As opposed to most fats Cannawell receive which are usually either long or short chained, MCTs don’t require any modification for use in the body. For this reason they are immediately absorbed and used as instant energy, and are generally not stored for very long in the body like other fats can be. MCTs are great for binding fat soluble compounds like cannabinoids because it’s absorbed so immediately, so the cannabidiol and other hemp derived cannabinoids (which are fat soluble) can be absorbed more quickly than with most other fats. 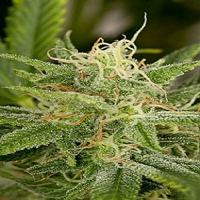 5) Organic Hempseed Oil Cannawell's unrefined, organic virgin Hempseed oil is cold pressed from hemp seeds that were obtained without the use of fertilizers or pesticides. Hempseed oil is hailed by many for its 3:1 ratio of omega-6 to omega-3 fatty acids, the optimal ratio required by human bodies. And because cannabinoids bind to fats, Cannawell find the specific fatty acid content in hempseed oil to be ideal for use as a base oil in our Hemp HeliAxa blend, in addition to MCT oil. The fats in hempseed are more likely to be stored for longer periods of time than MCTs in the human body, so in combination these two base oils may provide both a quick absorption (perhaps shorter lasting) and slower absorption (but perhaps longer lasting). We encourage doing your own research & experimentation with hemp extracts in order to find what feels best for you!